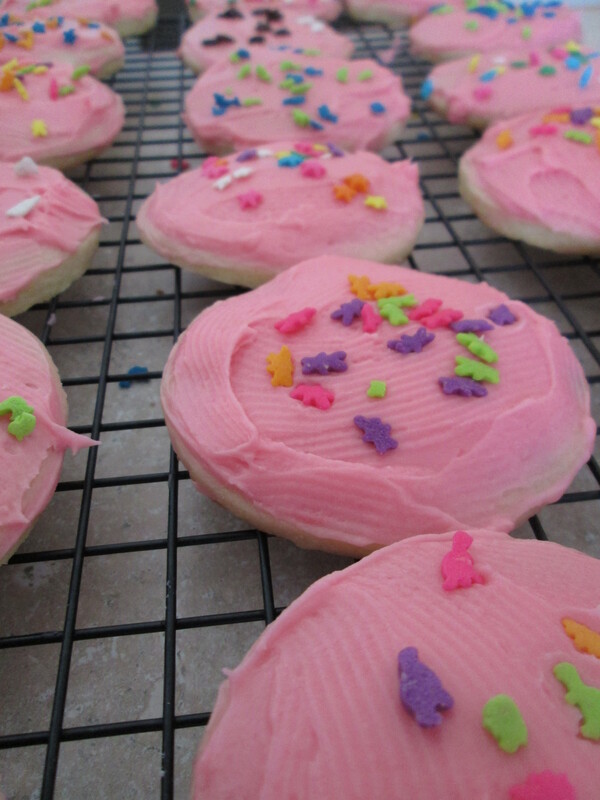 Just Sugar (Cookie) me up for Valentine’s Day! When things say they are the best, I have to try them. Like Genos and Pats cheese steaks, they both say they are the best so I have to try both. And you know what my outcome was? They are both the same. But today was different. I was not looking for cheese steaks, I was looking for the best cake-like sugar cookie there is. You know the sugar cookies that come prepackaged in the store with the pretty frosting? That was exactly what I was looking for. I found one recipe online that claims to be an exact replica, but I don’t have two days to let the dough chill in my fridge, I have about thirty minutes. Finally I found one: “THE BEST SUGAR COOKIES”. Well, the best? Hmph, I don’t think so. I had to tweak the recipe, but don’t worry three batches later, I got it. 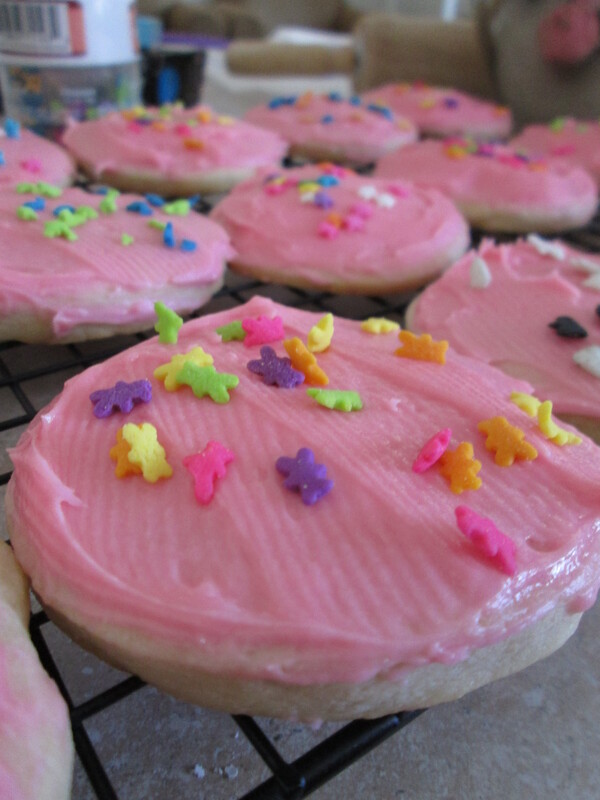 Not the best, THE PERFECT SUGAR COOKIE (and frosting)!!! 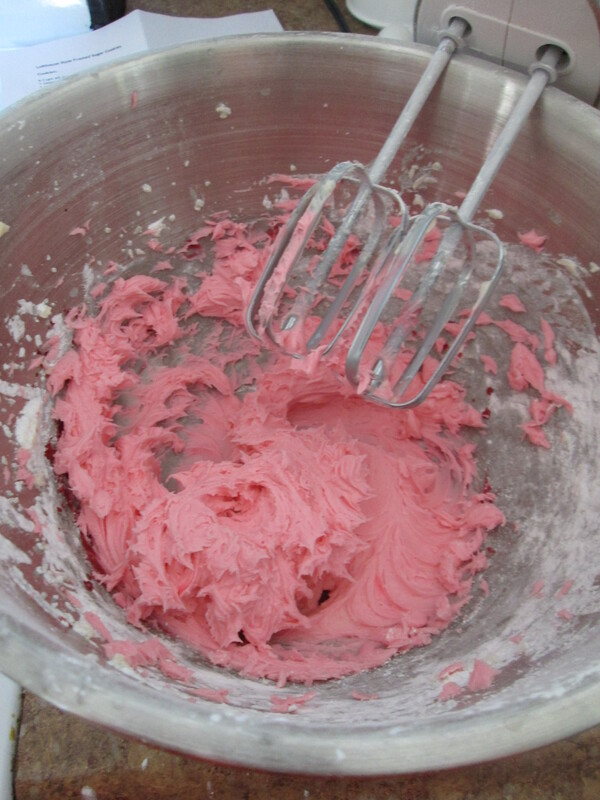 With an electric mixer in a large bowl mix butter on a medium to high speed for 30 seconds. Add the sugar, baking powder, and salt and mix till combined. Beat in the egg, milk and vanilla. Add the flour one up at a time beating it as you add the two cups. Divide the dough in half, and cover (I put in a gallon size zip block in two balls). Chill in the fridge for thirty minutes or until its easier to work with. Preheat the oven to 375. On wax paper place one ball of dough, place another sheet of wax paper on top of the ball of dough and flatten with roller (I used tinfoil due to lack of wax paper). Flatten to about 1/4inch thickness. 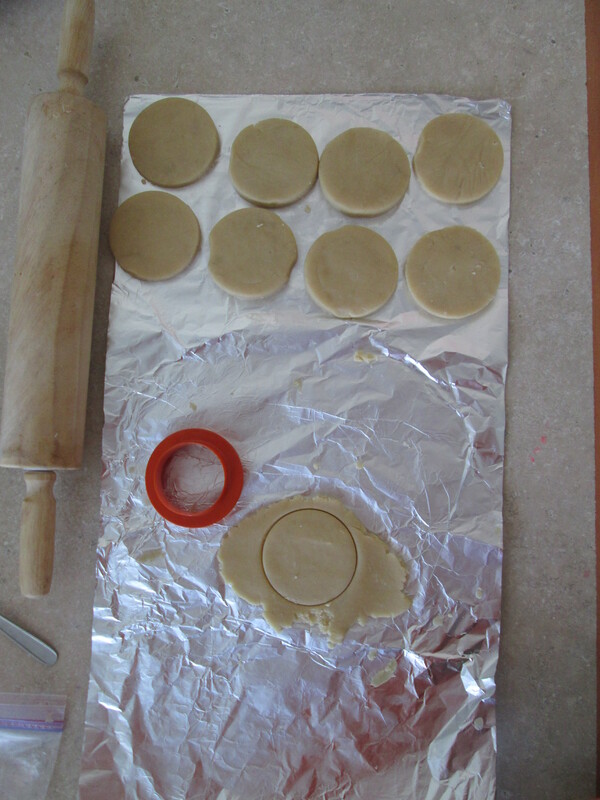 Use a cookie cutter to cut the desired shape. Place the cutouts 1 inch apart on a parchment lined pan (if you don’t have parchment paper you can just use an ungreased cookie sheet). Bake for about 8 minutes, just when the edges start to turn a light brown take out of the oven. Place on a wire rack to cool. Wait until cool to frost. Slowly add the powder sugar and beat until smooth. Add in the heavy cream 1 tablespoon at a time until you get the desired spreading consistency. Add in food color, mix, and take finger and test it out… I mean, Spread on cookies with knife. This came out fabulously but some things I learned on this adventure are: don’t put a pan that just came out of the oven on a zip block, it will melt it and don’t put the mixer on super-duper fast right after putting powder sugar in, it will go everywhere.